I created this recipe for a pop up a couple years ago. A close friend has been asking me to make it for her just about every week since then. So I figured after 3 years I should post the recipe so she knows how to make it for herself. 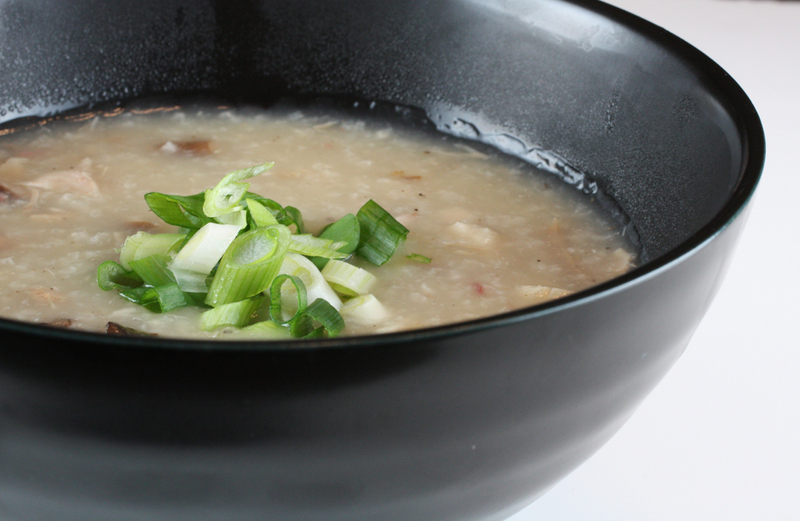 This is a take on a Jook or congee or canja. It has a very old history, essentially is is gruel. Most people know it to be an Asian dish, I use the term Asian because almost all Asian cultures have one form or another of this dish. It is a poor mans dish along with being the dish of royalty. Typically served with sides like meat, fish, tofu and herbs. The version I do is Portuguese where the rice is very soft but not completely disintegrated like in china. you want to serve right away while its still steaming hot.